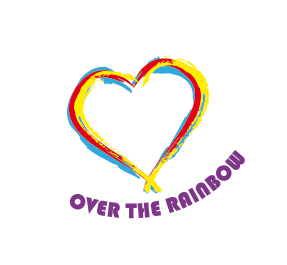 Twenty-three year old Chia Xun An talks to The Rainbow Connection about his decade-long battle with mental illness. For me, I know that I am starting to suffer from the symptoms of depression when my mind starts feeling heavy and I start to process things more slowly — it feels like your brain is slowly trying to shut down. I also tend to be more lethargic and sleep more often. How old were you when you started feeling different, depressed or sad? I started feeling ‘different’ around the age of 10 in primary school (2001). I remembered having difficulties sleeping due to negative thoughts, and that manifested in me crying throughout many nights. Do you remember what triggered it? How did you feel at that time? What made you go and see the doctor? It was actually my mum who made me go and see the doctor! She noticed the drastic change in sleep patterns and moods and was concerned. The doctor (psychiatrist) diagnosed me with major depression. How did you feel about the diagnosis and suggested treatment? Well, back then, I was ten. I did not even know what the term ‘depression· was. All I knew, from looking at my parents’ faces, was that it was not a good thing. When you are diagnosed with something like this, or any other serious medical condition for that matter, it is very natural to have many thoughts. “What is depression?”, “Why do I have depression?”, “I don’t want to have depression!”, “Why me?”, “Why do I have to take medication?”. Many questions which you know deep down there is really no clear cut answer. It is really a mixed bag but I can safely say that the bag was mainly negative. What did you do for yourself other than seeing a doctor? Well, to cope (since I was at home most of the time) I drew a lot and made many small things (plastic model kits, ships/vehicles out of ice cream sticks, things like that). As I grew older I had a better sense of self awareness and knowledge about my condition. I started to go to the library frequently to read about depression. I devoured many, many books. You could say that I was desperate to save myself. I wanted to save myself, to get rid of this illness from my body so badly. The medication worked — it helped to suppress and manage the symptoms well. For the psychiatrist/psychologist mix, it was somewhat varied. This kind of thing can go both ways — both on the medical side and the patient side. Sometimes I wasn’t willing to open up for certain reasons; sometimes the medical professional wasn’t able to build a common level of understanding and trust in order for the treatment to be effective. Truth be told, it really takes trial and error before you hit the sweet spot. It can get pretty rough at times though. How does depression (your mood) impact living with yourself and your loved ones? For this, I’d like to start off with the short phrase, “hurt people hurt people”. When you are sick, and there are things that you cannot control, and everything is pain and confusion, sometimes we human beings tend to focus on how things impact us, and just us. We blame others, we blame the illness, and we blame ourselves. We cry out in pain, we get angry at somebody, sometimes at nobody, for reasons that we fail to understand at that point of time. And because we are so consumed by our own pain and problems, we forget that there are others with us, trying to help us, feeling helpless that whatever they are doing is failing to help us, and that they too are going through pain. It was really tough growing up with this illness. Due to something that is beyond us, one’s own family can become enemies, and it will always cause ripples. It can really be very, very difficult to love each other. When I look back, sometimes I wished that there was a miracle pill that could have taken away the illness, along with all the hurt for everybody involved. But I try to make the best of what I have, and what I am growing to be. How did all this impact your day-to-day life — school, social life etc.? Well. Up to my late teens/young adulthood, all this was basically non-existent due to my condition. It consumed such a large part of my growing up years. I had to take a half year absence in primary school, not attend classes for a year in secondary school and had to repeat as a result. I also had to take a half year break in Polytechnic. So, basically all my time in educational institutes consisted of starts and stops due to my condition. It really was not fun. I constantly had to play catch up with my peers, and I lost quite a few years missing out on things academically. I try to look at it in perspective — if I go into university, I’ll be about the age of a mature candidate, whereas some have already completed their degree, and will be moving on to the next stage of life. It can really get me down sometimes, when my peers are talking about it. Socially, I missed out on a lot. It was home, the doctors’, or playing catch-up with studying. I missed out on many growing up experiences. I lacked practical experience in social etiquette and skills up until a few years ago because I didn’t mix with people much up until then. I don’t really have many common experiences with peers my age and cannot relate to them. Many times I had (and still have) to fake it until I make it. Well, I try to look at the positive side of things. I didn’t have it back then, but at least I’m having it now, even if it is late. Better late than never! Unfortunately, yes. Even attempted it a few times. Back then I really felt very helpless, like there was literally no way out of the darkness and pain. But I guess I changed. Maybe it is because I realised that no matter how bad, ending your life is really a choice. And while I don’t want to go into the reasons as it can be a topic on its own, it is not a good choice no matter how attractive it may seem. What did your family think about this (your suicide attempts)? I never asked them. But if I were them, I’d really feel many, many negative emotions about this – to see a loved one want to end it all. Were they supportive? What were their reactions when they knew you had mental health issues? To be honest, they didn’t take it very well at the start. It was quite a knee-jerk reaction. There were many reasons, but this is the kind of thing that takes time, and only time to smooth out. Yes. There were times when they were at their breaking point and wanted to give up, but they didn’t. I just didn’t really see it that way when I was younger and more immature. Nowadays, when the going gets tough occasionally, I always remind myself: If my mum wasn’t supportive, she wouldn’t always check on me or keep reminding me about my appointments. If my dad wasn’t supportive, he wouldn’t have stopped his business to take care of me and support me during my secondary school years. I have to say that I am very lucky in that regard. Not every sufferer has that kind of support. How did they cope when you were sick? I never really asked them, but from my own experience, they went through many phases as caregivers. Anger, denial, exasperation, helplessness. Sometimes, when things get bad, it is very tempting to just throw in the towel. But they didn’t. And that speaks volumes. Did you tell your friends about your sickness? Growing up in primary and secondary school, nope! Back then, the stigma was still very strong. It did not help that young teens are easily enamoured by trends. Back then, I clearly remember that it was in to be ’emo’, ‘goth’ and what not. So because I was constantly depressed (not on purpose), I was, erm, “emo”. Things like that. I think I was called the ‘phantom student’ or something back in secondary school because I would slip in and out between the years. As I grew older, and I felt that awareness was more prevalent, I started to open up more. However, I also learnt the hard way that sometimes, not everybody is receptive or wants to know. And once they know, they may treat you differently. They may use it to hurt you. How did they (friends) react when you were feeling low? Well, when the going gets tough, the tough get going. Some stick around, some distance themselves, and some actually use it as an opportunity to either take advantage of you or hurt you. And not everybody will make it through with you or have the heart to. That is just the way life is. But those who do, I make sure to keep them and treat them well. If people say that I am tough, these people are tougher because honestly, they really have no obligation to stick by me and deal with my unique form of crazy. Well, I think that I am managing my condition pretty well right now. I still have to take medication though. I also do many things to keep myself engaged. The most important thing is to actually maintain a positive attitude when things are not feeling so great! It is challenging, but it can be done. What makes you feel good now? Apart from drawing, I like to go to the gym. I enjoy running on the treadmill. Being physically healthy also helps a lot in combating my condition. When things get a lot better and I feel more confident in taking heavier commitments, I would like to restart taking photos and learning to play the saxophone — two things which I enjoyed but had to put on hiatus due to my condition. In due time. How are you managing your daily life now? I do my best. Of course, there are several limitations to what I can do, and I can’t really do certain things because it may affect me, but I try to take them in my stride. I keep reminding myself that ultimately, it is a marathon, and not a sprint, and that in the grand scheme of things, some things that we consider very important in growing up, well, life is still long! You are living a functional, happy life, and what would your advice be to those who are still struggling with mental health issues? For those that are still struggling, or recovering, I guess there are some thoughts and conclusions that I would like to share based on my own journey. It doesn’t really matter what mental health issue you have, whether it is common, or less common, or the circumstances that led to this. If you are in distress, you are in distress. If you need help, you need help. What is most important, however, is that no matter what condition you have, you will do your best to get better. For your own sake. And that is the most important thing of all. Will your life be hard? Yes it will be harder. Will it get worse before it gets better? Yes it will. Will some people belittle or say nasty things about you or your struggles? Yes they will. Will it seem like an endless fight that just wants to wear you down until you succumb to it? Yes it will. But should you ever give up? No. No matter how tough and how ridiculous it may seem. Don’t truly give up. It is okay to lose the battle, but you must never lose the war. Because once you do, it is truly over. What would you like to say to other youngsters who are struggling with mental illness? Take your time. Everybody’s journey is different. It took me ten years of floundering and a new diagnosis to finally make a breakthrough. I know that in the future, I will fall again. But I am now confident that no matter how many times I fall, I will get back up. Chia Xun An graduated from Ngee Ann Polytechnic in May 2015. He is now studying for a part-time Specialist Diploma in Interior & Landscape Design at the Building & Construction Authority (BCA) Academy, while running Black Box Projects which aims to increase mental health awareness amongst youth. You can find out more about Xun An, along with his book, ‘The Black Box’ at Black Box Projects.